Today’s Indian Ground Army could be proud of an industry taking its roots in the 1940s, during WW2. Then, the “Tatanagar” was by far its most famous accomplishment. 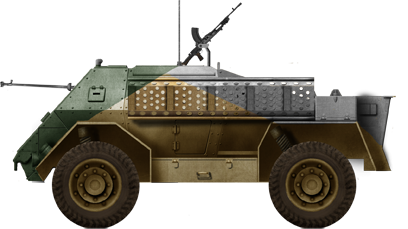 Built by the thousands, this reliable -yet unusual- armored car was generously supplied to the Commonwealth nations at war. 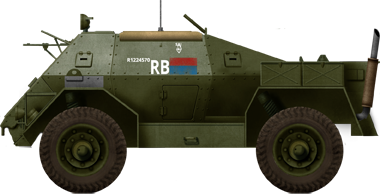 If the Indian divisions had their own fair share of this vehicle, New Zealand forces also operated many of a modified type. These were found in Africa, but also Italy and the East Indies, therefore fighting the Germans, Italians and Japanese. 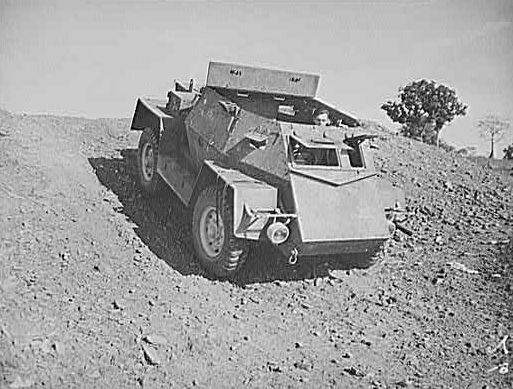 Due to the lack of skills and technical resources to build a proper tank (Australia and Canada were the only Commonwealth members to succeed in this difficult exercise), India, like South Africa, choose to build an armored car, based on an imported Canadian chassis, the Ford/GMC truck Canadian Military Pattern. The armored hulls were built by the East Indian Railway and Tata Iron & Steel Company. The standard armament was the British Bren light machine gun. Production started in late 1940 and stopped in 1944, with 4,655 units constructed. Many were assembled by Tata Locomotives, hence their local name of “Tatanagar”, but the full official name was Armoured Carrier, Wheeled, Indian Pattern, abbreviated to ACV-IP when accepted in service by the British Authorities. 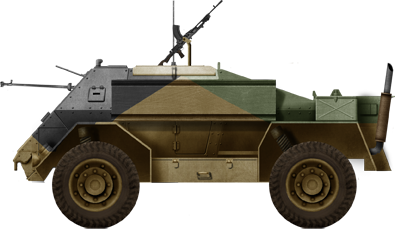 Starting from the Mark II (the Mk.I was quite different), the hull was relatively similar between versions, and only the Ford/GMC CO11QRF/C191QRF/C291QR and GMC CMP truck chassis helped distinguish between versions, . 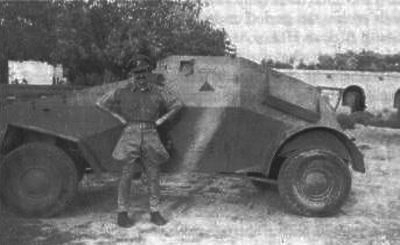 It was made of a central frame attached to the chassis, wrapped with 8 mm (0.31 in) thick riveted armor plates, but 14 mm (0.55 in) at the front. The sloped shapes offered full protection against small arms fire and the front was immune against heavy machine gun fire. The great peculiarity of the model was the open-topped front compartment, the Ford V-8/GMC petrol engine being relegated at the rear. This arrangement provided better driving and general awareness, but the crew was more vulnerable from the front due to the absence of the extra protection offered by the engine. The rear-engine arrangement also caused some cooling concerns. In the front section, behind the glacis, were seated the driver (right hand side) and commander/gunner. The former had a rectangular armored shutter and there was a narrow opening, also covered by a shutter, for the Bren LMG, or a 13 mm (0.51 in) Boys AT rifle. The compartment allowed a raised position for observation, and could accommodate optics and telemetric instruments, while on the rear corners of the compartment pintle-mounted Brens could be fitted and used for AA defense. The Ford or GMC engine developed 90 hp, which, combined to the nimble 2.5 tons, provided a top speed of 80 km/h (50 mph) on flat ground. The steering was 4×4 and the wheels were suspended by leaf springs. Mk.I: Ford model 1940 truck chassis, engine in front, Marmon-Herrington all wheel drive kit. Mk.II: Ford CO11QRF chassis, rear engine, local 4×4 steering, right hand drive (bulk of the production). Mk.IIB: Modified hull with thicker armor. Mk.IIC: Ford C191QRF chassis, enclosed compartment with a roof and small turret (Bren armed). Mk.III: Mk.IIC with slightly modified hull. 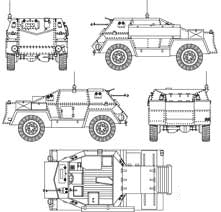 The primary rôles of the ACV-IP were reconnaissance and liaison missions. They operated in divisional reconnaissance regiments, but also acted as personnel carriers, AA weapon carriers or Forward Observation vehicles. The Mark I and Mark II were issued to the 4th and 5th Indian Infantry Divisions operating in North Africa 1941-42 and Mk.IIs only to the 10th Indian Infantry Division operating in Syria in 1941. Indian infantry divisions operating in Italy 1943-45 only used Mark IIs and later models. On the Far Eastern fronts, the ACV-IP served in India, Malaya and Burma from 1942 to the Indian Independence, but also with the Royal New Zealand Artillery in Korea. Armoured Carrier Wheeled Indian Pattern Mark II. Unknown Mark II in North Africa, 1942. 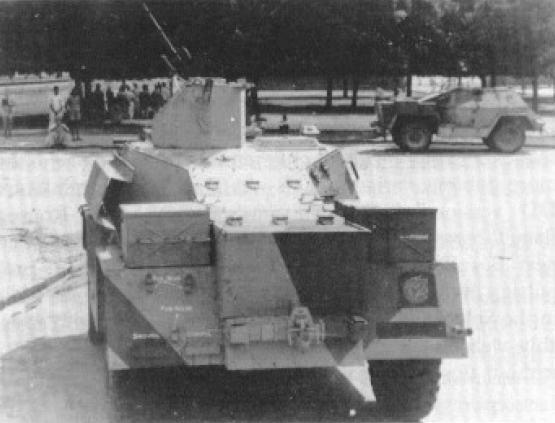 Indian ACV Mark IIA or IIB in North Africa. 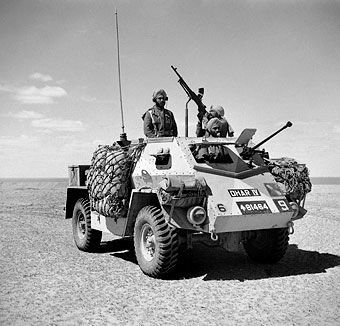 ACV Mark IIB in North Africa. AVP-IP II New Zealand pattern wheeled carrier. They were powered by a rear mounted Ford flathead V8, but also had different chassis, wheel sizes and hull construction. 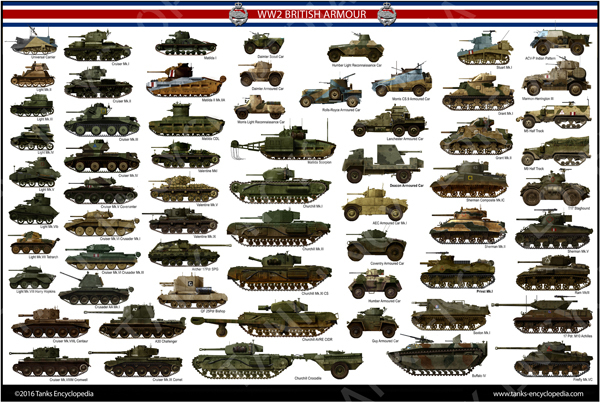 Decorate your room with this superb and exhaustive poster of British armor of the Second World War, including Commonwealth and Lend-Lease Vehicles. Churchils, Cromwells, Matildas and many iconic or little known British vehicles are featured! Help Tank Encyclopedia to grow !